What inspires me: Seeing people live passionate, generous lives (generous in time, attention, attitude, skills and finances). As Kelley Chisholm’s four-wheel-drive trundled over dusty pot-holed roads into a remote Rwandan village, she spied a group of women on the roadside. Dirt stained the women’s skin, their clothes hung in rags from their gaunt frames, and they kept their heads bowed, eyes downcast. Kelley couldn’t shake the image of one woman from her mind. She’d looked at Kelley with such sadness in her eyes that Kelley felt her heart pang with sympathy for the women’s unknown plight. A little further on Kelley came across another group of women. This group sat in the middle of an open field, donning bright clothes with sparkling eyes. Smiles spread across their faces as they sang and chatted together under a kaleidoscope of umbrellas. The stark contrast between the two groups of women took Kelley’s breath away. Surely the brightly clad women before her were the ‘rich’ people in an otherwise poor village. No, the women said, just a year ago they too had donned the dirt, rags and despair of the other women. The difference? They’d completed a six-month self-development program, taken out a tiny loan and used that money to build themselves a new life. Kelley couldn’t believe one year, some advice and a tiny loan could make such a difference. So disbelieving was Kelley that she assumed she’d been presented a one-off – an unusually good example of a self-help program that was empowering women to create their own employment. But after visiting more and more groups who’d completed the program, and conducting her own research, Kelley came to understand the power of helping women to help themselves. So impressed was she that she dedicated a master’s degree to better understanding the impact of this self-help model. In the process of her studies, she came to believe that traditional development models based on welfare alone have it wrong. Spurred by the life-changing differences this self-help model was making, Kelley dedicated her own life to spreading the approach as far and wide as she could. Today, through her charity, Foxglove Project, she’s working with existing in-country charities to offer this program to literally hundreds of thousands of women in Rwanda and, more recently, in other parts of East Africa, Cambodia and India. 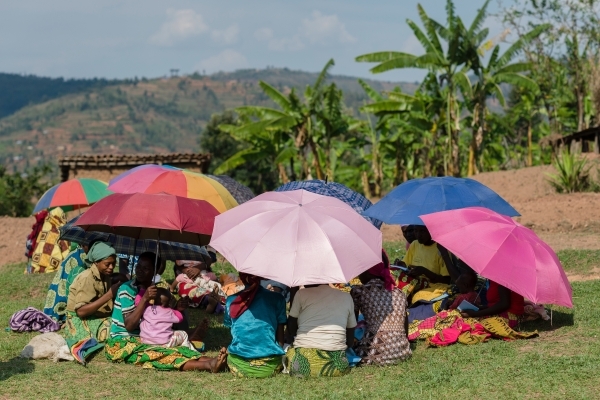 The women Kelley met in that remote Rwandan village had undertaken an African Evangelistic Enterprise Rwanda (AEE Rwanda) entrepreneurial program using the ‘self help group’ approach. The program works by simultaneously starting 10 self help groups in a village to create a financial ecosystem. 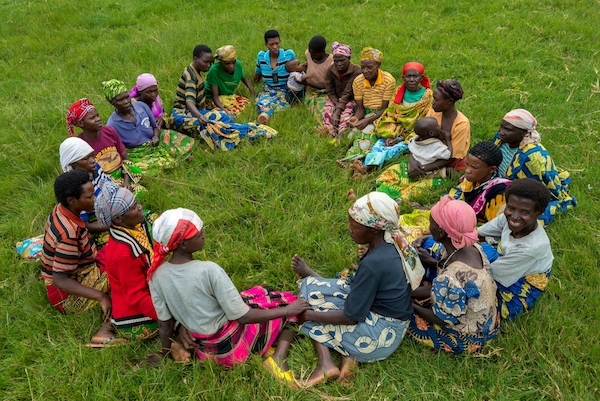 To join the program, a woman agrees to scrape together 50 Rwandan francs (about 8c in Australia) every week to contribute to the group’s savings. The women then form themselves into groups of 20 and commit to each other for life. Each self help group gives itself a name and identity before meeting weekly for six months of facilitated workshops on topics such as communication skills, savings and loans, literacy, conflict resolution, women’s rights and domestic violence. By the end of the program the women can take a loan from the group to start a small business. They agree to repay the loan with little or no interest. Two women from each group of 20 are then selected to be part of a village cluster – a group which leads and supports the 10 self help groups formed in the village. At this time, AEE Rwanda moves to a new village allowing the program to keep expanding. Kelley says the key to the program is that is doesn’t gift funds – which can create welfare dependency – but instead equips and encourages women to make changes to their own lives. And when women are empowered, says Kelley, they have shown they can do anything. When women are empowered, says Kelley, they have shown they can do anything. She cites the case of one woman among the brightly dressed ladies in the field. This woman had lived on the outskirts of town as an alcoholic. Her children survived on one meal a day and didn’t attend school. Today, three years later, the same woman earns $50US a week. She bought tomatoes, then a chicken, then a goat and a cow. Next she bought a motorbike to offer transport. Her kids now go to school and eat three meals a day. So impressed was Kelley with the results she’d seen in Rwanda that she’s fundraised to bring the program to other parts of East Africa and, more recently, to India. In India she supports the program Birds Nest, which introduces the self-help model to the pavement dwellers of Chennai. Most of these people have lived on the streets for decades. Some 70 percent have lived on the pavement for more than 30 years, perhaps with a piece of tin or tarpaulin erected at night to keep off the rain. They raise their families here, begging by day or selling petit wares where possible, to raise money to feed themselves and their children. Kelley is also partnering with charities in Cambodia on the Focus Cambodia project, which helps improve access to education for teenage girls living in Kompot, a rural province in southern Cambodia. It helps the schools attract and keep girls in school by partnering with the school and local community to provide access to clean water and sanitation. It is these factors, along with lack of support from families for girls’ education, that forces many young women out of school and into garment factories. As Foxglove partners with the local community, with a strong emphasis on mothers and village elders, many families and leaders are beginning to believe in the capacity of women and girls. A message from Kelley: When you hear these stories and needs, you may feel overwhelmed at the limited difference you feel you can make. But Foxglove is not one person or a limited group of people. We are asking you to join us. We love a saying we heard from Simon Sinek: “If you have the opportunity to do amazing things in your life, I strongly encourage you to invite someone to join you.” Please consider yourself invited. Find out more about Floxglove Project and support its life-changing efforts by visiting the website www.foxgloveproject.com or Facebook page. Really lovely article but mostly inspiring to get involved when possible. I heard you chat on the ABC to-day. What a truly inspiring story and a stepping stone for the future..
Samille you must feel a wealth of pride. Kevin Hosford. If you ever visit Mandurah, come and visit. Thanks so much for the kind words. I love telling these stories. Happy New Year.